All Real Estate companies conduct most of their business today via internet. From advertising to lead generation, to lead follow-up to scheduling site-visits, all these functions can be managed online. For this, they need to have a well presented, interactive and easy to understand website which will be a point of attraction for potential customers. 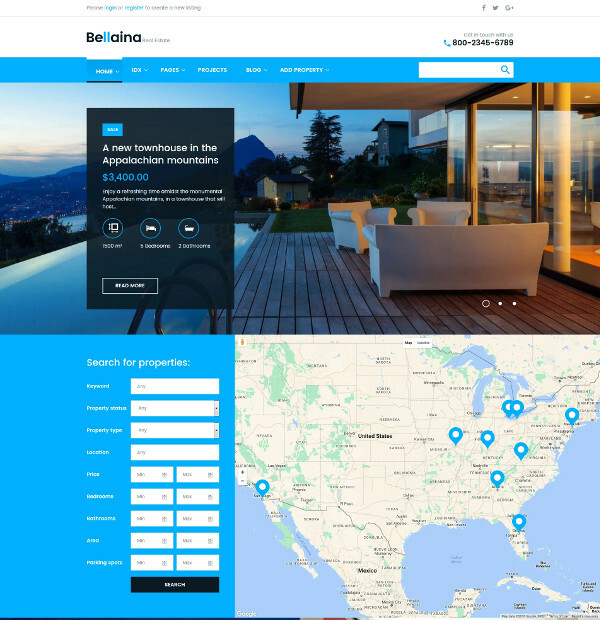 For helping you design such a website, we are presenting the 10+ Best Real Estate Listing Website Examples & Templates 2019 that will help you narrow down the best website for your Real Estate business. 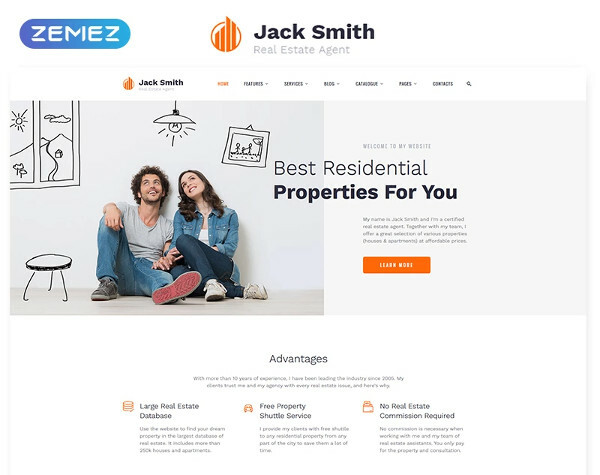 Listing a property successfully and attractively is one of the first steps in selling or renting it, and these website themes and templates do just that. 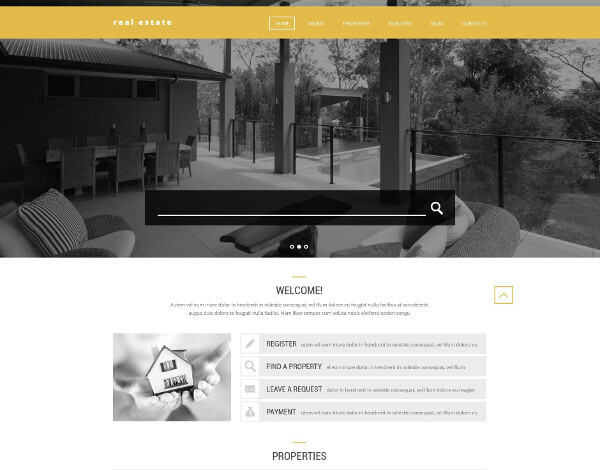 This is a very aesthetically designed theme and is well suited for your Real Estate business. It has 4 different presentation styles for you to choose from. The homepage is divided into multiple sections which make the listing of property very easy and informative. It is simple to understand and easy to implement. It is SEO friendly and you also get 24/7 technical support with it. 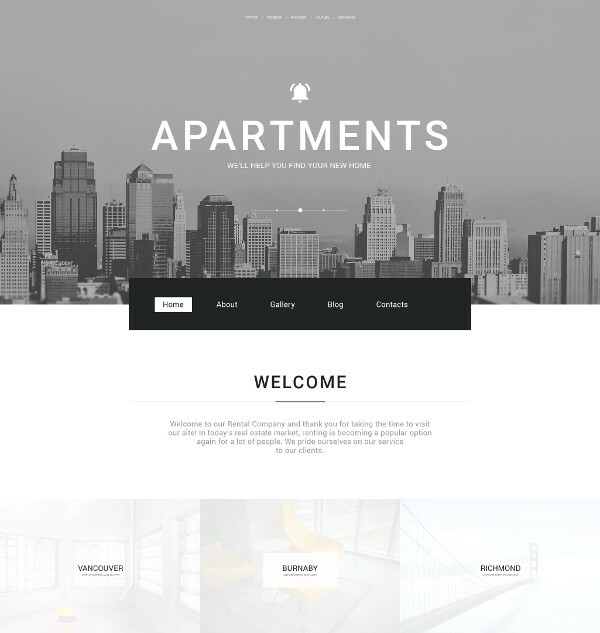 This sleek and modern theme catches your attention instantly. It looks great on any device and comes with a free Cherry plugin. It requires no coding and is SEO optimised already. It also offers Google fonts and Social Media options to build upon, for easier interaction by your customers. It has an Instagram board and a twitter feed attached to it. 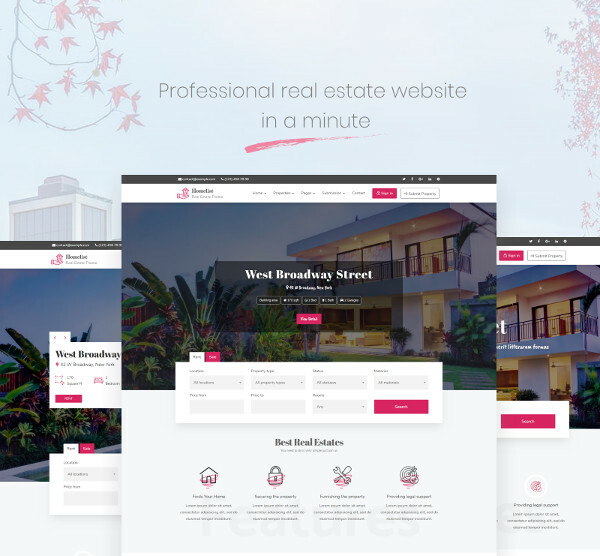 This premium theme is best suited for Real Estate companies for its fast loading capacity. 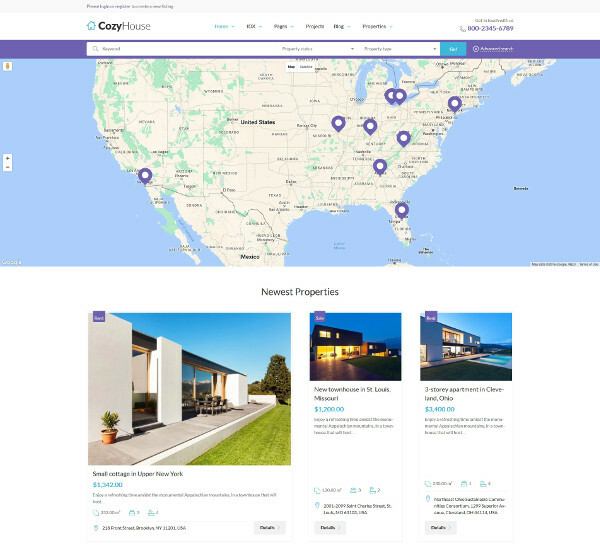 It offers many advanced features such as a testimonial slider, a full-screen slider, an advanced home search option and also has many industry-oriented icons. This gives a real professional look to it. With trendy fonts and attractive colour options, this theme does justice to your growing business website. It is the perfect theme for a vacation rental such as villa, guesthouse, chalet, cabin or resort residence. It has an integrated property reservation system and it is also possible to integrate your site with travel agencies. It allows your customers to book the property in many different ways and all types of rate management can be done for one or more properties. There are many different layouts to choose from and guest reviews can also be accommodated. 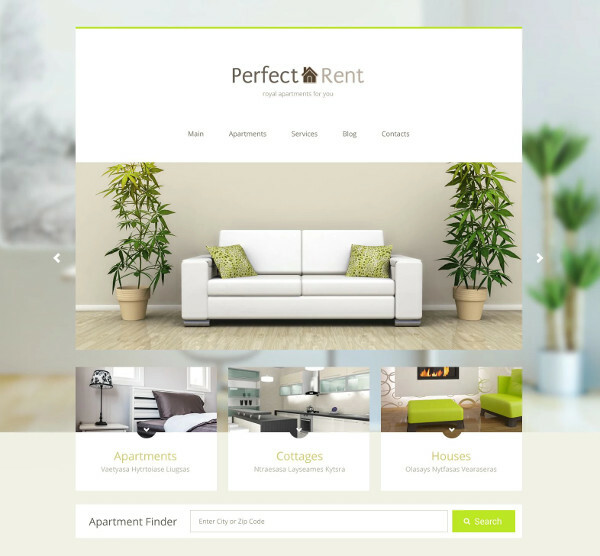 This theme is a lightweight theme that is ideal if you wish to rent out a property. Though it is for listing a single property, it still has enough functionality for incorporating multiple property listings as well. Incredibly detailed information for the property to be let out can be presented in many different ways which makes this a must-have theme for such Real Estate listings. It has the JetPack and Elementor plugs-ins already inbuilt for wonderful assistance while designing the website. 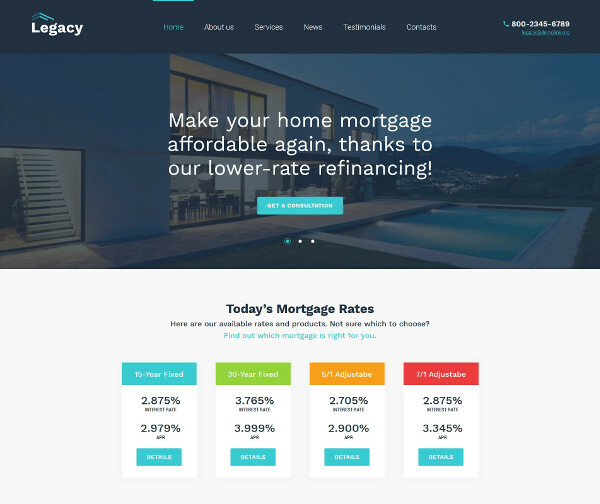 Built on the famed Cherry Framework, this is one of the best themes for Real Estate Listing Websites. It has all the functionalities that you wish to offer to your customers for searching the property to view all the other relevant details. It offers a horde of presets and 25+ modules to choose from. It also has the dxIDXpress plugin which further makes your job easy of designing the website. It also has a live customizer which makes your design work super fast. 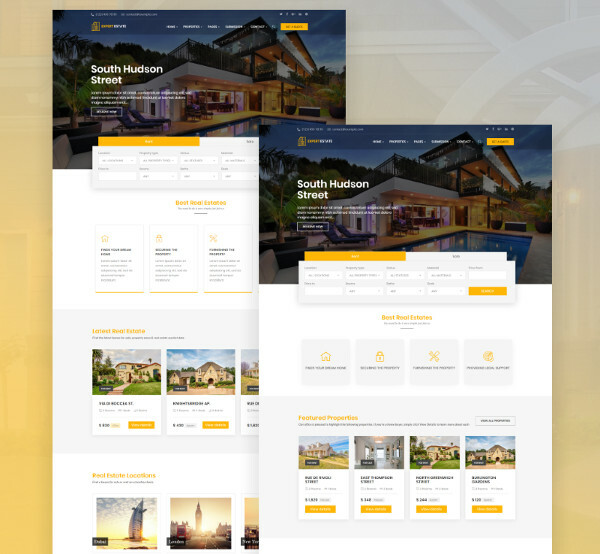 You can choose from a large set of layout options that best suit your vision of the website, you wish to design for your Real Estate business. Listing properties on this template is a breeze and you will have to spend very less time doing so. There are a ton of features provided such as a drag-and-drop page builder, various content modules, custom widgets and a live customizer. 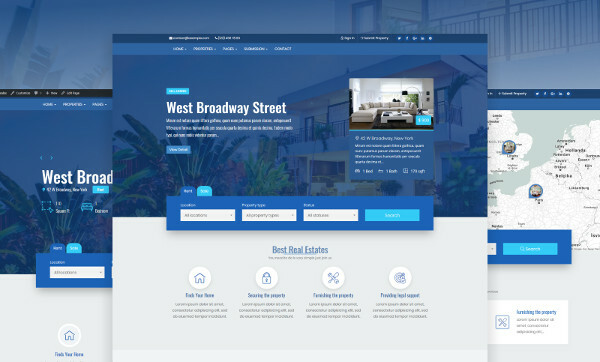 With a two-week no questions asked refund policy, this WordPress theme for Real Estate Rental Listing Website is sure to attract your customers. It has a live customizer, has advanced plug-ins and is based on the renowned Cherry Framework. Additional features include multiple shortcodes, sidebars, layouts and various navigation menu options. Many Google fonts are included and the theme is compatible with any browser. With this premium theme, you can easily ensure that enough filters are in place for your customers to find out just the right property. Advanced level custom modules have been implemented so that you can customize the functionality of your website as per your choice. It has full support of the dsIDXpress plugin which enhances the operability of the template by many-fold. The live customizer saves time when adjusting the look and feel of the website. This theme has a special stick-to-top menu which is always available for the user even as they scroll down the page. It is retina ready and is very easy to navigate and understand. 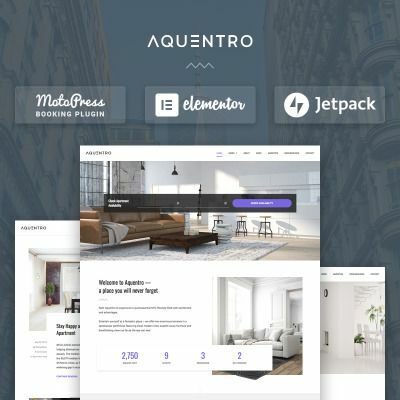 It also has a special Motopress editor and a Motopress Slider to further make your job easy when designing or altering the look and feel of your website. It is SEO optimized and has Google Maps incorporated for ease of use. This theme is fully editable and has more than 80 shortcodes to make your work easy. It has fabulous sliders and multiple colour options. It is SEO ready and you would get lifetime-free updates. It has custom widgets and a built-in theme customizer. It also offers the online-chat facility for real-time assistance to your customers hence making it even more attractive. 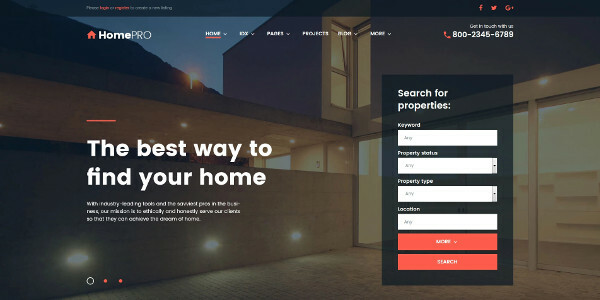 This is probably the best Real Estate Listing Website theme that you can use for your growing your business. This theme offers a wide range of designs in 30 ready made HTML pages. You also get a lot of industry-relevant pictures for free. It has a huge set of UI elements and blocks to make your life simple. It has an inbuilt search engine which is very powerful. A large sample of gallery layouts help your customization a breeze and the theme comes ready with Google Maps and Google fonts. 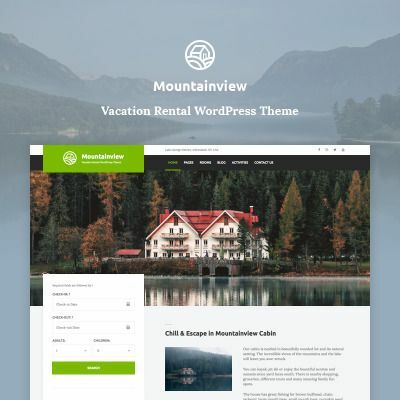 This theme is for those who want to list Office spaces and Co-working spaces for rental and sale. This is custom made to suit their purposes and has a very professional look and feel. The theme is built on the Unison Framework which allows for a drag-and-drop customisation feature for page building. There is also handy documentation support available in case you get stuck somewhere. The theme is of the Premium segment and users are sure to attract attention with a niche product. This is one of the best themes for any Real Estate company and caters to all their needs. It has a very responsive design layout and also offers Google Maps integration. It is simple to understand on first look and offers the form submission facility for your customers to post their property for listing. Property images, videos, floor plans and description can be posted very easily on this theme.